These green suspenders are a great Irish costume accessory for St. Patrick's Day. These green suspenders will complete your Irish costume on St. Patrick's Day! 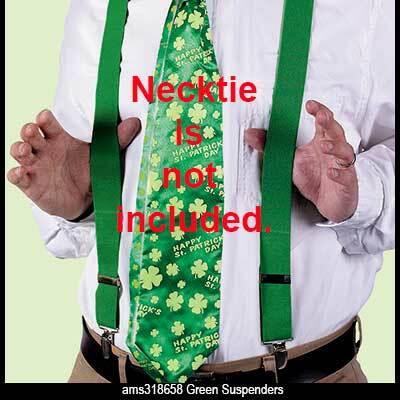 The Irish suspenders are 84% nylon and 16% spandex and measure 42" long x 1 1/2" wide. They are suitable for a person who is between 5' and 5' 10" tall.